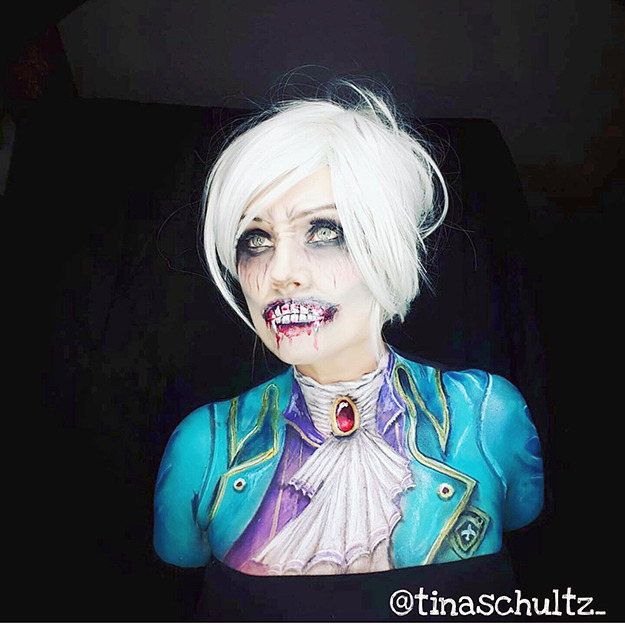 Revelstoke's Tina Schultz creates amazing pieces of art using people's bodies as her canvas. 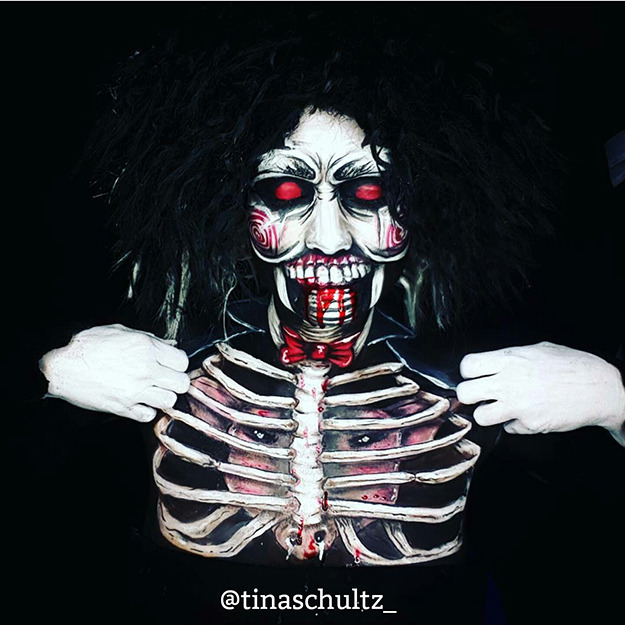 One of Tina Schultz' body painting works. 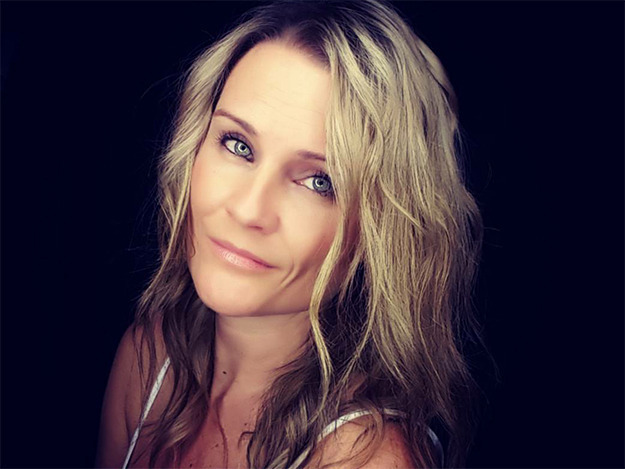 Tina Schultz never expected a trip to the Armstrong Fair with her sister in law Sarah and her nieces and nephews to trigger her entrance into the world of body painting. Shultz is artistic, having experimented with different mediums in the past. “As a teenager I worked with pencil sketching and didn’t really find any gratification out of drawing on paper,” she says. When Sarah suggested she try facepainting, Schultz couldn’t shrug off the idea. Having never worked with water-based paints before but ready for the challenge, she started watching YouTube videos about body and face painting. Next she set about finding the right kind of paints. Schultz’s first few attempts were on herself. “Man they were bad,” she laughs. It’s been two years since then and her work now is detailed and eye catching. “It’s all been self-taught, hours of gruelling hours of painting my face,” she says. Her work is unique. “Who wants boring anyway! I truly let my brush do the talking. I paint what I’m feeling at that second,” she says. October is the busiest month of the year for Shultz. In addition to working two jobs, this is her second Halloween doing the 31 Days of Halloween challenge. Every day of the month, in a process that takes between four and seven hours not including photo’s or clean up, Shultz is creating a new work. “Each year my creativity enhances and the quality improves. Practise makes perfect!” she says. “The ideas are endless and my creative side loves the flexibility that the water based paints gives me to express myself at that given moment. Her Halloween work is vivid and rich and detail, featuring a variety of creatures inspired by fantasy, science fiction and horror. “The worst part about body painting is having to wash it off right after I paint it,” she adds.